Nothing unusual ever happens in the sleepy village of Willowgrove. But Rosie has learning difficulties, and Flora Morgan – a former headteacher trained to help those who can’t represent themselves – is called in to assist. Flora has known Rosie for years. And Rosie wouldn’t hurt a fly. So what made her confess? Why would she lie?And if she didn’t kill Mrs Trevor, who did…? 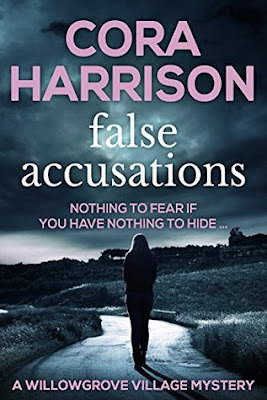 FALSE ACCUSATIONS is the first in a new cozy mystery series by acclaimed author Cora Harrison - a private investigation featuring a woman sleuth set in a traditional British rural village. " False Accusations was an enjoyable beginning to a cozy mystery series that I'm looking forward to reading more of. I've had this author and her books on my radar for awhile now so I basically jumped at the chance to read this one. What made this book unique was the set up where Flora is a former schoolteacher but has now taken on the role of assisting and helping those individuals who cannot represent themselves with the law. This actually gave her a valid role in investigating this mystery as she was looking out for her charge Rosie's best interests. The entire time that Flora was investigating and trying to prove Rosie's innocence, I had these questions in the back of my mind to if Rosie really had done it. There were these certain moments where she acted so guilty that I didn't know how Flora would ever be able to prove that she didn't kill her own mother. It really turned into a suspenseful read for me. My favorite parts of the book though featured Flora's dog (whose name now escapes me). He was an energetic German Shepard that she was trying to teach obedience too unsuccessfully. We actually have a female German Shepard who isn't quite two yet but has very similar characteristics. I just found those parts relatable and endearing to read about. The mystery portion was done well and I found myself surprised by the ending. What more can you really ask for? Overall, this was a good beginning to this new cozy mystery series. I definitely plan on reading more! It was suspenseful and had me guessing for the majority of the book. I did find it a bit on the slower side at times but for the most part that didn't detract from my enjoyment of the book. I would think that fans of cozy mysteries and mysteries in general will enjoy this book. I kind of want to compare if to M.C. Beaton's Agatha Raisin series (which reminds me of yet another series that I need to get back to and read more of). Recommended! Bottom Line: A solid start to a new cozy mystery series that I will be following! "This is the story of three best friends: one who was murdered, one who went to prison, and one who's been searching for the truth all these years . . .
How far will someone go to bury her secrets and hide her grief? How long can you get away with a lie? How long can you live with it?" 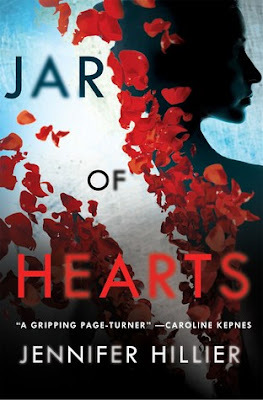 Jar of Hearts was just as dark and twisted as the above summary sounds! It was also a compelling thriller that I couldn't stop reading! This is only the second book by Hillier that I've read but I am truly hooked on her books at this point. She is fast becoming a must read author for me thanks to how much I enjoyed both of her books that I've read so far. One of the things that really has stood out to me while reading both of her books is how completely fearless she is when it comes to her writing choices. She isn't afraid to make choices for her characters and plot lines that I just don't feel like many other authors would take. It makes for such a fascinating read because as the reader I just never know what to expect. In this book especially I was constantly trying to figure out how everything was going to turn out. Because let's be honest here - it sure didn't seem like anything could turn out well for Geo after everything she had done. I really loved her as the main character! The past is something that she holds very close to her chest and we only get pieces of what happened slowly throughout the book. It gives her that questioning feel that I love similar to an unreliable narrator. I was always questioning her true intentions on everything that she did and her motivations behind it all. I don't think that it is too spoiler-ey to say that she keeps secrets throughout the book - as the reader you know that- even if you don't know what they are and why she is keeping them. It all just builds up layer by layer creating this building tension and suspense. I just couldn't get enough of it! I kind of guessed parts of the ending but that didn't make it any less horrifying or suspenseful! I literally had to force myself to slow down at the end just so I could take it all in. What a book! Overall, this book was everything that I look for in a thrilled so I loved my time reading it. It had a unique premise which really made it stand out for me in the sea of thrillers and mysteries that are out there. This book had a main character that I wanted to root for even though I didn't fully trust her. It was dark, tense, and a page turning read! I will definitely be there for anything and everything that this author writes in the future! I believe I have a different book of hers on my shelves so I really need to bump that up on the TBR list. I would recommend this book to fans of thrillers and suspense. Be warned that there is some definite triggers in this book that may deter other readers. It wasn't always an easy book to read but it was one that I won't soon forget! Bottom Line: A five star read for me.....enough said! 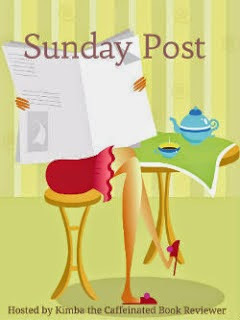 Happy Sunday readers! I'm not used to posting so regularly here - this is going to make two weeks in a row for me. Success! Ha! I was thinking about taking a week off but next weekend my daughter and I will be in Ohio. We are taking a road trip and making a girl's weekend of it to attend my stepdaughter's bridal shower. It should be a fun but very fast little weekend. I'm really looking forward to it! This upcoming week will be busy thanks to getting ready for all of that. The oil needs changed in the car, I need to buy a gift, dress for the shower, etc. School registration is also this week (where has the summer gone??) and my youngest has travel baseball tryouts. Fun times for all! It's so crazy to think that the back to school grind is approaching fast but here we are. In reading news, I managed to finish one book this past week and begin reading another. I've got a huge stack of books currently checked out from the library that I'm really excited about. I just need to find the time to get through them all! I still haven't gone back to reading The Paris Wife yet but I'm leaving my bookmark in it for awhile longer. Not much else I can think of really so let's move on to the books. 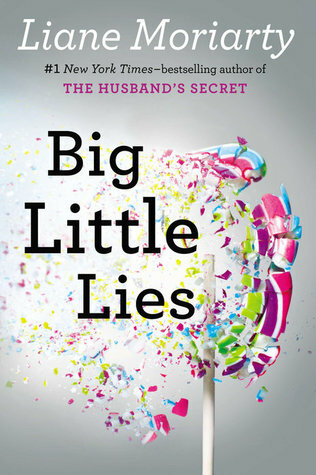 Big Little Lies is one that I've had on my TBR list and shelves for a ridiculous length of time. It was just as good as everyone told me that it would be! I found myself just immersed in this book and now I really can't wait to give the show a try. Review to come but if you haven't read this one yet I definitely recommend! It All Falls Down is the second book in the Nora Watt's mystery series. Last year I read (and adored) the first book in this series titled The Lost Ones. Nora is such a great main character so as soon as I heard about this second book I was making grabby hands for it. I'm about sixty pages in and already have been sucked into the storyline. Plans for today include a bunch of nothing. My husband is going to grill us another delicious dinner. I'm hoping to catch up on some of our favorite television shows. Slightly off topic but did you guys see the new Walking Dead trailer?? Eek! I plan on reading as much as possible and maybe writing up a few reviews as well. We worked hard last Sunday so that this Sunday is going to be filled with as much relaxation as possible to prepare for the upcoming week. I'll talk to you all in two weeks but I do have some reviews scheduled to go up between then. "On June 28, 1980, Kelly Michelle Lund shoots and kills Oscar-nominated director John McFadden at a party in his home . . . and instantly becomes a media sensation. For years, speculation swirls over the seventeen-year-old’s motives. Convicted of the murder, she loses her youth and her freedom—but keeps her secrets to herself. Once again, Kelly is suspected of the high profile murder. But this time, she’s got some unexpected allies who believe she’s innocent—of both killings—and want to help clear her name. But is she?" 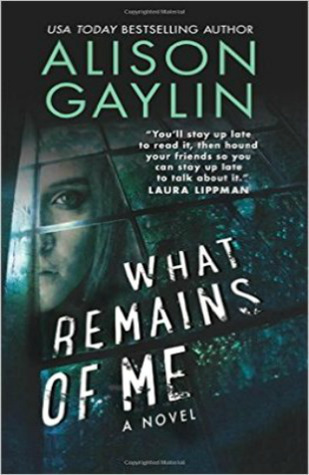 What Remains of Me was one of those mysteries that slowly swept me away as I tried to figure out exactly what had happened so many years ago. It was a book that had layers to it - each layer needed to be peeled back so that we could see the full truth behind what happened so long ago and in the present. 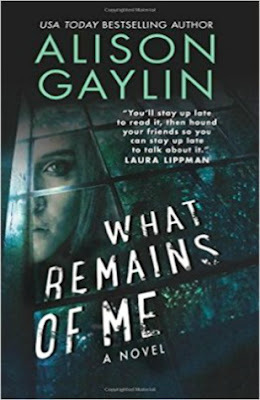 I enjoyed the fact that there were two mysteries within this book: the first being the mystery of what really happened thirty some years ago and the second being if Kelly is involved in the murder of her father in law now. The two questions are tied together so closely that I constantly felt that the answer to one should also end with the answer to the other. 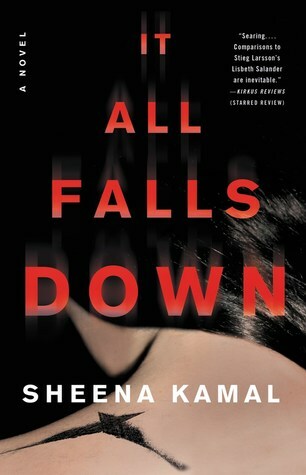 It gave this book such a unique layer of tension and atmosphere as the reader doesn't know if they can fully trust Kelly or not. Is she innocent of this new murder? Did she actually murder John McFadden so many years ago and why? There were just so many questions swirling around in my head while I read and it really added to my enjoyment of this book! The only thing that that took away from my reading experience with this book is hard to put into words. I enjoyed this book the entire time that I was reading it but I was never "wowed" by it. I've heard such good things about this author and I obviously agree as I mostly enjoyed this book but it just didn't stand out for me like I had hoped that it would. This book has such a unique and compelling premise but I'm not 100% that it lived up to it. It was really good - don't get me wrong but I just wouldn't classify it as great. I think it would be fair to rate it as a four star read overall so take my feelings with a grain of salt as that is still a really good rating! Overall, I did enjoy my time with this book and am looking forward to reading more by this author. I've actually got the first book in a series she has written on my own shelves so I'm really looking forward to giving that a try next. I liked the way it was set up and also how the author tied everything together in the end. Yes, I was able to predict parts of it but there were also some surprises thrown in there too. I'm thinking that this may have slightly been a case of my expectations being a bit too high because when I think about the book as a whole and my reading experience with it....well I did have a lot more positives rather than negatives. I'm going to recommend this book to fans of both suspense and mysteries. Bottom Line: A suspenseful mystery! Disclosure: I received a copy of this book thanks to the publisher and Edelweiss. I actually purchased a copy of this book though from my local used bookstore which is what I read. "Years ago, in the town of Saxon Falls, young Kelsey Willard disappeared and was presumed dead. The tragedy left her family with a fractured life—a mother out to numb the pain, a father losing a battle with his own private demons, and a sister desperate for closure. But now another teenage girl has gone missing. It’s ripping open old wounds for the Willards, dragging them back into a painful past, and leaving them unprepared for where it will take them next. 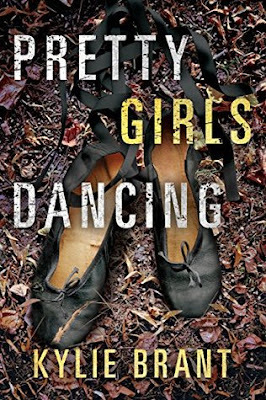 Bureau of Criminal Investigation agent Mark Foster has stumbled on uncanny parallels in the lives of the two missing girls that could unlock clues to a serial killer’s identity. That means breaking down the walls of the Willards’ long-guarded secrets and getting to a truth that is darker than he bargained for. Now, to rescue one missing girl, he must first solve the riddles that disappeared with another: Kelsey Willard herself. Dead or alive, she is his last hope." 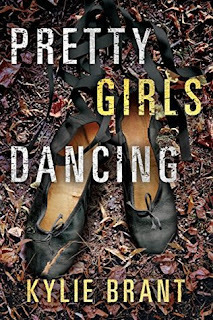 Pretty Girls Dancing was a book that I was instantly pulled into from almost the very first page. It wasn't an easy read by any means due to the subject matter but it was very compelling and hard to put down. One of the things that this author did really well was make me think even if it wasn't always comfortable to do so. There was this moment where Kelsey's mom thinks about how if she knew that she had limited moments with her that she might have appreciated them more (I'm paraphrasing here but you get the gist) - and doesn't that just hit you in the gut? Because how easy is it as a parent to get overwhelmed or swept away by life and not appreciate the every day moments with your children? I know that it struck me and is something that I will keep turning back to in the next few weeks. The mystery portion of this book was done so well! I loved that as the reader we were left wondering about Kelsey's fate while also worrying about Whitney who had just recently disappeared. The book is told in multiple viewpoints - from Janie (Kelsey's sister), Kelsey's Mom and Dad, the main detective on the case, and then Whitney herself. Whitney's chapters were honestly the hardest to read. This might be considered as a slight spoiler but we get to witness exactly what she is going through while missing. Plus, there is this constant layer of tension and danger as I was forced to wonder what next and would she be found in time. The suspense and tension in this book was constant throughout but those last one hundred and fifty pages - well it was just intense! I stayed up way too late on a work night but it was completely worth it. This isn't a book that I will be forgetting about soon and an author that I cannot wait to read more of! Overall, I really enjoyed my time with this book and am so excited to have found this author! It wasn't always an easy for me to read as a parent but it was just so compelling that I couldn't put it down. I love that this author has a bunch of other books for me to check out and look forward to! I've been reading a lot of thrillers and mysteries as of late - this is a book that really stood out and was different than the others I've been reading. Don't get me wrong - it is a mystery but I just felt that it was also something more. A book that makes me think and self evaluate as a parent is a really good read in my opinion. I can easily recommend this book to other readers but especially to mystery and thriller fans. Bottom Line: A suspenseful and thrilling read that will stick with me for a while! Disclosure: I received a copy of this book thanks to NetGalley and the publisher. Wow! It has been a few weeks since I last had the chance to post or share my thoughts on any books with you all. Life happens, it's summer time - that should really tell you all you need to know. LOL! We've been busy and on the go almost nonstop these past couple of months which is the last time I did a post like this. The spring/summer baseball and softball seasons have just recently ended which means life is starting to slow down just a bit. It won't be lasting very long but I for one am fully appreciating a clean house. So much falls to the wayside when you are at a softball tournament every weekend or a game/practice most nights of the week. It makes me tired just thinking about it but we survived and a great time was had by all! Currently my oldest is in full football swing getting ready for the upcoming season which is exciting as I always look forward to watching him play. My youngest two both have travel tryouts coming up so they are practicing and getting ready for that. We will have a few weeks break and then things will start to pick up again which means I need to appreciate my nights home with no plans as much as possible. I HAVE been reading although of course my reading pace has dropped considerably these past couple of months. I'm still four books ahead on my Goodread's reading challenge so let's count that as a win. I'm not going to even attempt to do a reading update for all of the books I've finished since my last post like this. I do plan on writing up reviews though on all of the books I've finished and haven't yet shared my thoughts on. It is going to take me a bit thought to catch up as I'm probably close to ten books or so behind. I'm going to work on trying to get ahead and get some posts scheduled so that I won't have two week blogging breaks like I have been doing. Let's move on though to the books! I've actually got my thoughts on this one written up so watch for my review on Tuesday of this week. I really enjoyed it! Big Little Lies by Liane Moriarty is the book I'm mostly turning to at this point. I started this one and was immediately sucked in. I'm not quite at a hundred pages yet but I'm really eager to relax and curl up with this book for some quality reading time soon! 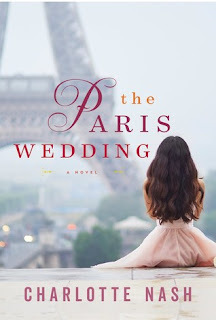 The Paris Wedding by Charlotte Nash is a review copy and one that I'm on the fence on. I haven't quite connected with this book yet even though I'm a little over halfway through it. Some parts I enjoy and other parts not as much. I'm trying to decide if I'm going to stick it out and see how it all ends or just move on to something else. Has anyone else read this one? Have an opinion to share on it? Plans for today include lots of yard work. So many nights at the softball and baseball fields have meant that my yard has suffered. My husband and I plan to really dig into working and getting our yard back into shape. I'm hoping that we also get the chance to grill out for the first time this summer. Sad but true. I also need to work on catch up with my never-ending laundry piles that are beyond ridiculous at this point. Other than that, I'm hoping for a quiet day with some reading time squeezed in. It sure is nice to be back though and chatting with all of you!